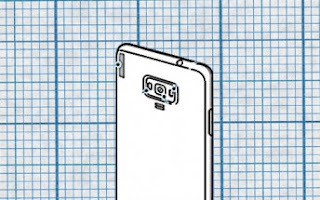 It’s been over a month since we last heard of the Samsung Z4, but now its manual gives us our first good peek at the design and functionality of the Tizen-running phone. The flash setup draws our attention. The main camera is flanked by two flashes, and the front camera also has an LED flash, hinting at high selfie ambitions from the upcoming phone. The resolutions of the cameras are yet unknown. The Samsung Z4 will run Tizen 3.0, which still feels quite a bit like TouchWiz, even after the company’s Android phones got a much sleeker look. Also,S Bike is on board. Instructions on how to remove the battery are a welcome sight, that’s a 2,050mAh juice pack by the way. Charging seems to be handled by old school microUSB. Anyway, further instructions mention single and dual-SIM models (using microSIM cards). Note that the Z4 will have a hybrid slot, meaning no room for a microSD card if you use two SIMs. With all relevant certifications done and the manual written, it shouldn’t be long before the next Tizen phone goes official. Exactly when is unclear, but at this point it’s more important to know that the platform hasn’t been quietly mothballed.